A few photos from the press meet conducted on Feb 21, 2017 in New Delhi on account of International Mother Language Day Celebration. CLEAR releases Delhi Demands of Language Rights, a charter of demands by the representatives of 40+ languages in India. Campaign for Language Equality and Rights (CLEAR), is a civil society organization of individuals and organizations advocating constitutional and political solution to the language question in India. Formed on 20 September 2015, at Chennai on the sidelines of the Language Rights Conference, CLEAR's guiding principles and primary objectives have been captured on its first document, the Chennai declaration of language rights (Chennai Declaration). Individuals and representatives of language, cultural, social, literary, educational, political and nonprofit organizations who share the ideas and aims of the declaration can apply for membership. (Join CLEAR). 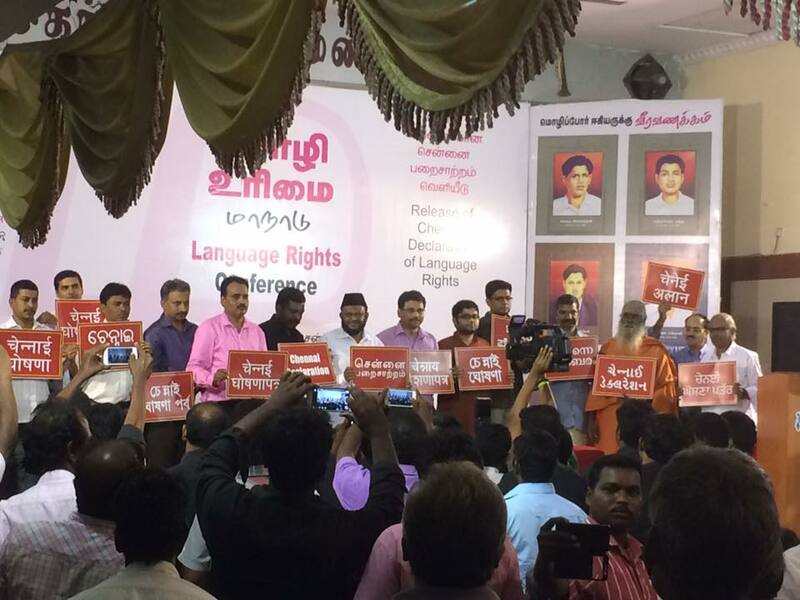 By joining CLEAR, you endorse the Chennai declaration of language rights.